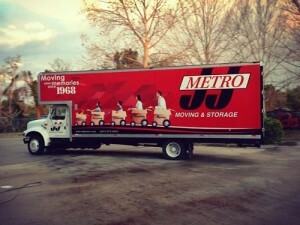 J&J Metro is Central Florida’s leading mover, offering superior nationwide service as well. And with nearly 50 years of moving experience under its belt, it’s no wonder that’s the case. In 1983 Richard Mease purchased J&J, and then in 1985, Mease, along with Gary and Rose Bergenske, purchased the original Metro from Fuston, merging the two into one entity, J&J Metro Moving and Storage. Due to its dedication to quality service, the company flourished, expanding its services from residential into commercial moving, with a hefty client list that included the state of Florida, Florida Hospital, the University of Central Florida, Orange County Sheriffs Department, Department of Children and Families, BMW, and Bank of America, to name a few. This success enabled J&J Metro to purchase property in Maitland in 1987, constructing a brand-new office and warehouse building that has been the company’s home for almost 30 years. Two years, later, in 1989, Mease retired, leaving the Bergenskes as the sole owners. While the names of both the company and ownership might have changed, J&J Metro’s dedication to its mission to provide a cost-effective, safe, and stress-free move of its client’s prized possessions has never changed. To that end, in 2011 G. Jason Bergenske, vice president, representing the Bergenske family’s third generation to hold a management position and ownership in the business, brought in new technology to help increase efficiency, re-branded the entire companies public image, and began large marketing campaigns including television. 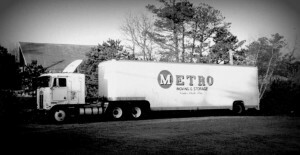 As such, after nearly 50 years in business and 87,000 high quality moves later, J&J Metro Moving and Storage has built a solid reputation as trusted mover for residential and office moving needs. The company’s client list reaches far and wide across Central Florida, with many customers offering glowing reviews and recommendations to friends and family members. To that end, the owners and employees at J&J Metro Moving and Storage are eager to reach toward the future with continued quality moving services. What will the next 50 years bring?